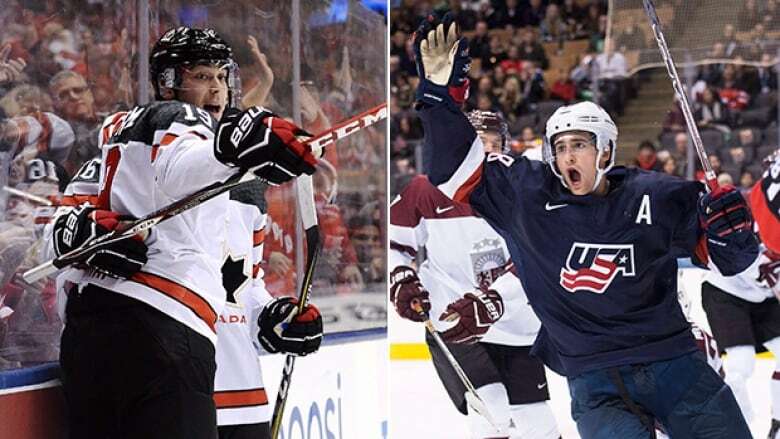 There is little doubt the United States has skated into the role of Canada’s most intense equal these days, something that will be on full display when the two teams clash at the world junior championships in Toronto on Saturday afternoon (3:30 p.m. ET). Canada always will have Russia as its most storied hockey rival because of the 1972 Summit Series and all the Canada Cup clashes, particularly 1987. But there is little doubt the United States has skated into the role of Canada's most intense equal these days. There was the U.S.'s win in the 1996 World Cup of Hockey and Canada's gold-medal wins over the Americans in the 2002 and 2010 Olympic Games. At the world junior level, Canada defeated the U.S. in the gold-medal final 20 years ago in a wonderful goaltending dual between Canadian Marc Denis and his American counterpart Brian Boucher. There were American wins in the 2004 and 2010 finals, the latter a stinging loss in Saskatoon for Canada. There was the memorable Canadian semifinal win in 2007 with Jonathan Toews and goalie Carey Price shining in the shootout, and the 7-4 New Year's Eve victory in 2009 when Canada scored twice into the empty net in the final minute. The latest installment between Canada and the U.S. will occur at the Air Canada Centre in Toronto on Saturday afternoon (3:30 p.m. ET) at the world junior tournament. The game will be a seamless way to end the New Year and a perfect prelude for hockey fans to check in on the Columbus Blue Jackets-Minnesota Wild game in St. Paul, Minn. The Blue Jackets have been the hottest team in the land with a 14-game win streak, two better than the Wild's current 12-match victory string. U.S. junior defenceman Caleb Jones will not doubt be watching the Columbus-Minnesota game afterward. His older brother Seth Jones is a Blue Jackets defenceman. Caleb Jones is not the only familiar surname on the U.S., roster. Casey Fitzgerald is the son of former NHLer and current New Jersey Devils assistant general manager, Tom Fitzgerald. Kieffer Bellows is the son of former NHLer Brian Bellows. The older Bellows is from St. Catharines, Ont. 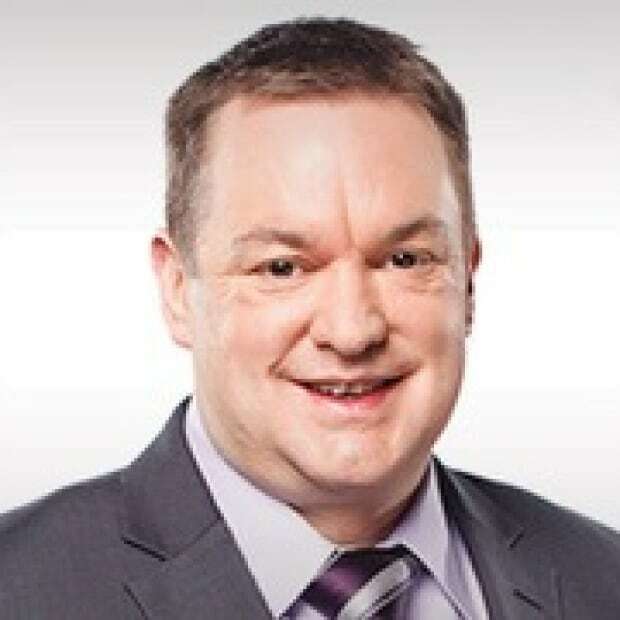 He won a Memorial Cup with the Kitchener Rangers, a Stanley Cup with the Montreal Canadiens and represented Canada at the 1984 Canada Cup, as well as three world championships. The younger Bellows, however, calls Edina, Minn., home. Not much has separated Canada and the United States in group play in Toronto. Both teams have gone 3-0 with wins over Russia, Slovakia and Latvia, respectively. Canada has outscored its opponents 20-5, compared to the United States' 14-5 advantage. As always, there will be a few sidebars to follow. Canadian defenceman Dante Fabbro of Coquitlam, B.C., will go up against six of his Boston University teammates on the American side. Canadian captain Dylan Strome and his linemate Taylor Raddysh, who matched a team record with four goals in a 10-2 win against Latvia on Thursday, were hoping to go up against their Erie Otters teammate Alex DeBrincat. But DeBrincat was cut after the U.S., training camp earlier this month, even though he has scored a whopping 30 goals in 28 games with Erie this season. Strome reacted to the surprise decision as "strange" and added, "I think it's good for us that he's not there." Ottawa Senators fans will keep a close eye on their prospect, American forward Colin White. He comes from quite an athletic family. His father Mark played football and was on the track team at Georgia Tech. His mother Christine was on the Florida State tennis team. Winnipeg Jets faithful will be interested in the performance of U.S., forward Jack Roslovic, who has played for the AHL Manitoba Moose this season. The goaltending situation with Canada will remain a matter that has to sort itself out. No. 1 Carter Hart of Sherwood Park, Alta., has yet to distinguish himself in two wins because of a disappointing .881 save percentage. Does that mean Connor Ingram of Imperial, Sask., will get the call against the U.S.? He was in goal for Canada's 5-0 shutout win against Slovakia on Tuesday, but Ingram faced only six shots. Team Canada coach Dominique Ducharme said he would make his decision Friday and let the goalie know, but no announcement would be made until Saturday. It's not a must-win game for either team on Saturday, but first place is at stake in the group and an easier quarter-final matchup in Montreal on Monday. But whenever Canada and the United States meet on the ice these days, there is plenty of intrigue. Canada thrashes Latvia to set up showdown with U.S.